Managing Director of the Nigerian Ports Authority (NPA), Hadiza Bala Usman, has urged the Federal Government to give priority attention to the access roads leading to Apapa ports. Speaking to newsmen, Bala Usman said it was important that the government declared an emergency situation regarding the roads. 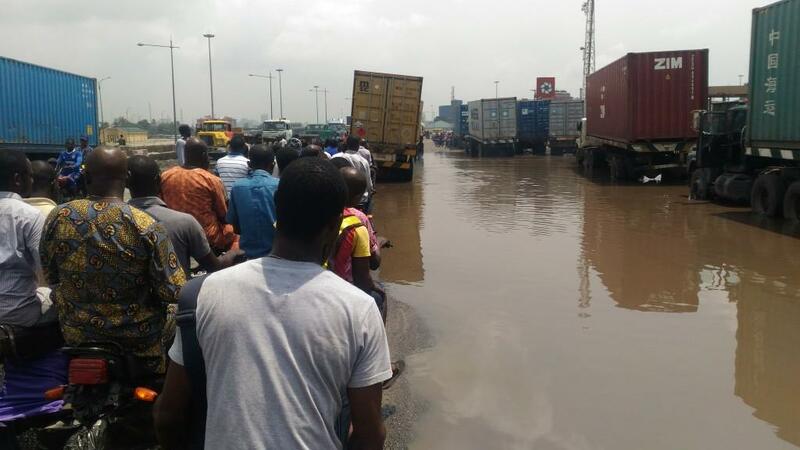 She said, “if, we have identified the Port Access Road in Apapa and Oshodi all the way to the toll gate as bad portions, and we realise how much they affect access to the ports, businesses and residents around the Apapa area, and ultimately the economy of the nation, its means that we must give emergency attention to every process involved. The NPA MD said it was not true that the traffic congestion was caused by lack of capacity by terminals to handle the volume of cargo at the ports. According to her, the things have been worse even last year 2017 when the volume of cargo was lowest. “At the peak of cargo reception in 2014, cargo throughput was put at 84,951,927 MT, we did not have the type of congestion that we had in 2017 when we only did 71, 776, 545MT. This is to show you that the volume of cargo is not the reason why we have this situation. “There is no way you can move 90 percent of cargo coming into the country by road and expect the required level of efficiency. This is because more than the attendant traffic congestion, you will also see that the roads cannot be durable because of the heavy tonnage of the trucks. The only sustainable way for effective cargo evacuation is therefore the use of roads, rails and water to move cargo into the hinterland." Bala Usman however insisted that shipping companies must comply with the directive on the provision of holding bays, while the efforts are being made to provide trailer parks to check traffic on the roads. She also said that efforts were on to ensure that other ports such as Warri, Onne, Port Harcourt and Calabar are patronised.